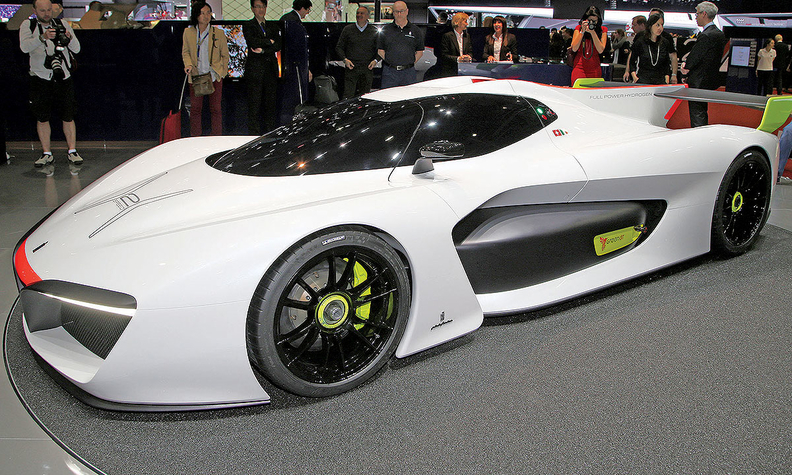 Pininfarina plans to build a limited run of 10 race cars based on the H2 Speed Concept. PEBBLE BEACH, California -- It turns out that Pininfarina's wild H2 Speed Concept from the Geneva auto show was more than just vapor. The Italian design house, now owned by Indian industrial giant Mahindra, is moving ahead with plans to build a limited run of just 10 copies of the forward-looking hydrogen fuel cell race car, Pininfarina CEO Silvio Pietro Angori told Automotive News, a sister publication of Automotive News Europe, at the 2016 Concours d'Elegance here this month. The track-only H2 Speed racers will be built on a Le Mans Prototype 2 racing chassis homologated for FIA competition and will use a powertrain similar to that of the concept: a pair of electric motors putting out at least 503 hp to the rear wheels. The running gear itself comes from GreenGT, a European maker of green powertrains. A working prototype of the H2 Speed should be done by early next year, with production models hitting the road in another 12 to 14 months, Angori said. Pininfarina has buyers lined up for the H2 Speed, which Angori described as "a racing car for gentleman drivers." The cars will cost around $2.5 million each and Angori maintained that Pininfarina would make a profit on the cars rather than use them as marketing-oriented loss leaders. The H2 Speed is largely inspired by Pininfarina's 1969 Sigma Formula One concept car, developed to showcase next-gen safety technology at the time. This time around, the focus is on powertrain technology. Angori said: "That is the exemplification of what we intend to do going forward."